Founded in 1998, Eco Molding Co LTD is one of plastic moulding companies specialize in manufacturing plastic moulds, plastic moulding parts. our company also supply all kinds of assembly for products. 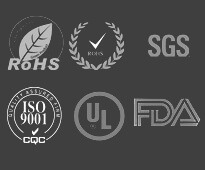 Furthermore, we have developed many plastic LED parts. Europe type plastic flower boxes and pots and other plastic products due to market requirements. Our products are exported to Europe, America, South Asia and the Middle East.We can design the plastic moulding parts’ appearance and the structure of the products and provide completed plastic moulding solution base on CAD/CAM/CAE system, advanced equipment and scientific network system. 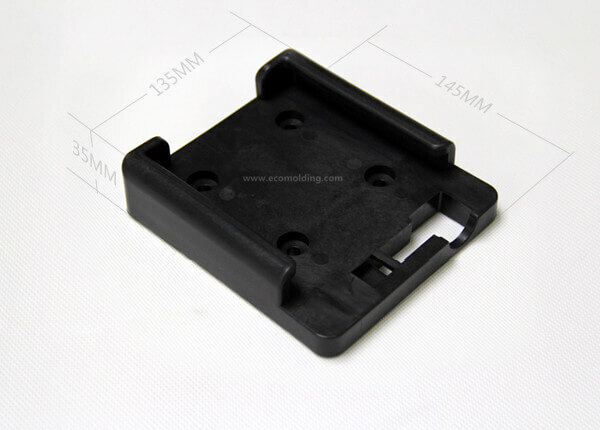 The mould design and manufacture are combined together to ensure high quality of plastic moulds. We keep good communications with our customers to let them know our progress.We have a CNC machining center with advanced equipment, such as wire erase and EDM machines to ensure high efficiency in mould production. We are proud of our advanced equipment, strict quality management, reasonable price and considerate service. 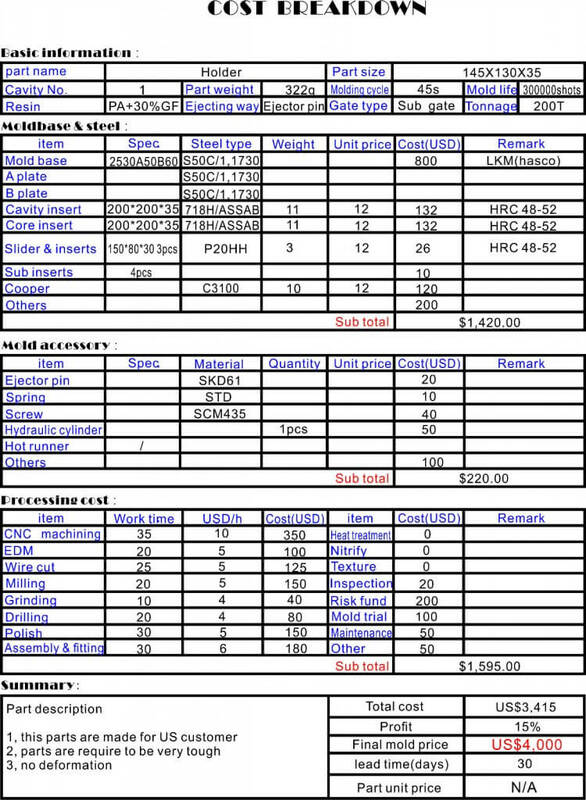 Below product picture is one mold cost breakdown for product in above picture.